For a lover of musicals like myself, it was always a bit of an annoyance that the Stephen Sondheim classic Into The Woods had never been given the full big screen treatment. Up to this point, a made for television 1991 broadcast of the majority of the stage show’s original cast was the best the media world had to offer for those wishing to get their fix of the musical fairytale, and whilst Bernadette Peters and co. are more than enjoyable company, Disney have now been so kind as to give audiences a bigger and bolder film adaptation. 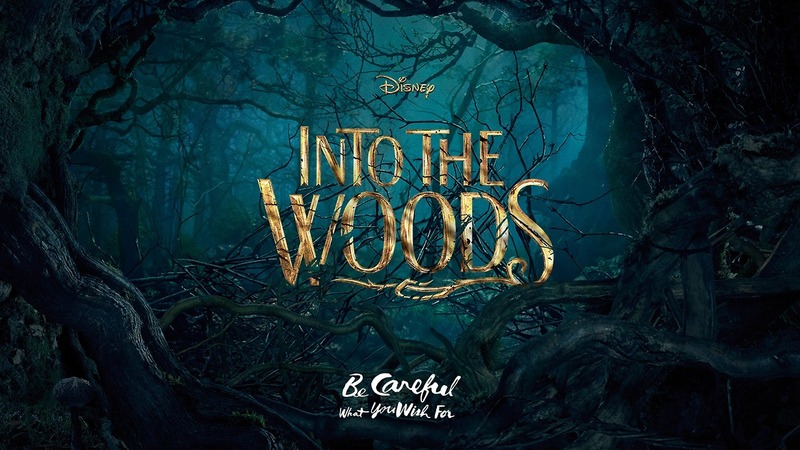 The sheer scale and scope of the musical’s narrative leads one to assume that the limitless world of cinema should be a natural home for the tale, but could the cast and filmmakers for the 2014 version of Into The Woods be able find the spark and whimsy that made it such a Broadway and West End hit? The film, in almost complete adherence to the stage version, weaves an intriguing and fantastical narrative that incorporates a number of Grimm brothers fairytales including Cinderella, Jack and the Beanstalk, Rapunzel and Little Red Riding Hood. Within the plot the infamous characters from these tales find themselves living in the same crossover universe and are forced to interact and impact on one another’s storylines with the added presence of the film’s leading pair, the Baker (James Corden) and his wife (Emily Blunt). Longing for a child but unable to conceive due to a family curse, the couple are challenged by the responsible witch (Meryl Streep) to obtain four objects, all of which are in the possession of characters from the aforementioned fairytales, and the plot proceeds on a musical journey to find said objects, break the curse and finally have the child of which they have been dreaming. As with most musicals, whether or not a viewer finds enjoyment in Into The Woods is completely down to whether they like the genre or not. Admittedly, the work of Stephen Sondheim is not the most user friendly for a casual saunter in to the world of musical theatre. With very little spoken dialogue, the film, much like 2007’s Sweeney Todd: The Demon Barber Of Fleet Street conveys all of its messages through song, a technique akin to marmite, either you love it or you hate it. On this occasion as with the majority of others, I happen to love it, and the pleasantly swift pace on which the busy narrative moves proves for a fun filled two hours of great singing, interesting story telling and effective comic relief thanks to a strong performances and a reassuring air of self awareness. Into The Woods, especially a Disney handled version, is not something really that needs to be dissected and critiqued to within an inch of its life. Some of the darker elements of the stage version including stronger violence and sexual suggestion have been sacrificed and smoothed over, but this does not take anything away from the film overall and rather helps to widen its demographic. The film boasts a large ensemble cast, the majority of which are leading Hollywood players. Meryl Streep has, understandably, been the focus of much of the picture’s marketing, and her performance as the witch is captivating and just outlandish enough without ever crossing the line in to pantomime. Her singing voice is tested to a higher degree than in Mamma Mia!, but Streep takes each note in her stride, particularly impressing in her prominent solo number Stay With Me. James Corden is a pleasant surprise as the Baker, with my fears of his being overwhelmed by the acting company unfounded. Corden brings charm and warmth to the role and becomes an audience favourite almost instantly. In a cast list too long to remark upon individually, solid performances are given by Anna Kendrick as Cinderella, Johnny Depp as the Wolf, Lilla Crawford as Little Red Riding Hood, Jack Huttlestone as Jack and Tracey Ullman as Jack’s mother. Someone deserving of singled out praise, though, is Emily Blunt as the Baker’s wife. Blunt not only boasts a brilliant singing voice but gives arguably the most enjoyable performance of the entire cast in a role full of laughs and dry humour. The chemistry her and Corden share gives the film a warm and solid heart amongst the camp and the chaos that surrounds the narrative as a whole, leading my dear friend Rowena of The Flim Culb to exclaim on our way out, “I wish they were a real life thing!”. Overall, Into The Woods is exactly what I had hoped it was going to be. It is a faithful enough adaptation of a much loved stage musical that respects its source material and cared enough to find worthy and accomplished actors to bring the piece to life for a big screen audience. With the traumatic memory of Walking On Sunshine still lingering in my mind, it was a wonderful experience to be able to sit down and enjoy a truly good musical brought to life by truly good performers, a combination that is, unfortunately, so rare to find these days. I was pleasantly surprised by James Corden, too. Given the cast around him, he really stepped up. Great review, Amy! I throughly enjoyed it but loved seeing that you did as well with you being such a fan of the show. Is it worth getting the 1991 version to watch? (I am a huge musicals fan too). Ah that’s a shame as I am in the UK!